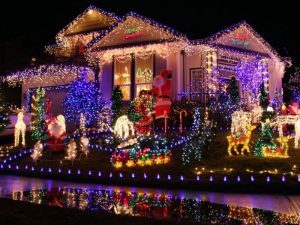 December 4, 2018 / Jessica Moore / Comments Off on 2018 Holiday Light Contest — Changes!! The Leacroft Event Planning Team will be doing things a bit differently this year to choose the TOP TEN finalists for our Holiday Light Contest. Do you have what it takes to WIN our CONTEST?!?! ANYONE who wishes to be included in the contest should SIGN UP HERE (BY SUN, 12/9/18, at NOON). The FIRST TEN neighbors to SIGN UP will be in the TOP TEN. Then, everyone will have a chance to vote for their favorite house at our Holiday SL-HAY ride on Tuesday, December 11th. So, if you want to have a chance to WIN $15, $25, or even $50 CASH, please SIGN UP HERE (BY SUN, 12/9/18, at NOON) and be sure to TURN ON your LIGHTS BY 5PM on 12/11/18!! !